The air was dank. The only light was from kerosene lanterns. 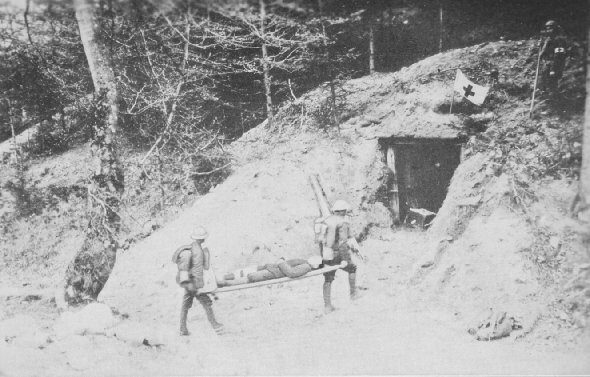 Here the wounded men were packed like sardines. Some of them were firghtfully nervousevery time a shell screamed, they screamed with it. 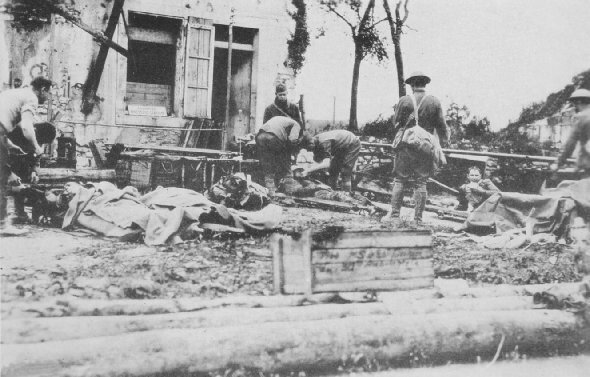 Dressing station in support of the lines, 319th Ambulance Company, 80th Division. Words cannot describe the suffering endured here. Those who lived through such an experience can never be the same.